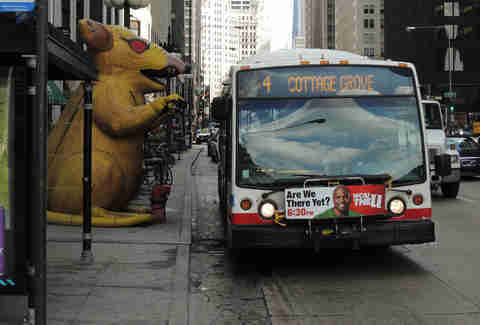 While other cities pride themselves on keeping things “weird,” Chicagoans typically consider ourselves to be pretty normal human beings. We hate to break the news to you, but that’s not true at all. We've got plenty of routine behaviors that, when you really think about it, are pretty darn strange. Just TRY doing any of the following in other parts of the country and see what kind of reaction you get. Unless you’re from Chicago, hearing someone order their sandwich “wet” would probably conjure up visions of that scene in National Lampoon’s Family Vacation where Clark accidentally eats a sandwich that’s, uh... wet. 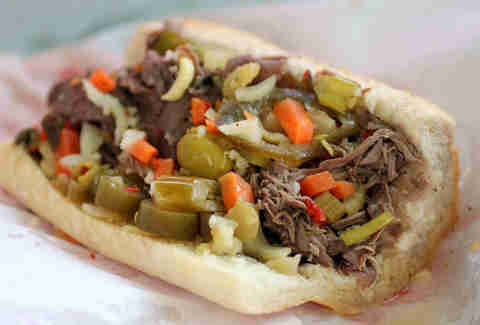 Thankfully, Aunt Edna (and her evil dog) have never come anywhere near our favorite Italian beef joints. While the 2015 movie Aloha barely registered on the radar of most Americans, its billboard became a beloved staple in Logan Square. Sadly, just as neighborhood residents were planning a one year anniversary party for the billboard, tragedy struck. On Friday, May 6th, the billboard was removed, and the party was, unfortunately, changed to a vigil. RIP, Aloha billboard. You live on in our hearts. While most of us will roll our eyes at people who opt to stand in line for hours at Walmart on Black Friday, we (along with a few other cities in the Midwest) will gladly wake up extra early to stand in line at our favorite bakery on Pączki Day. Much like the vast majority of Black Friday deals, you can actually can get pączki year-round at most European bakeries. But, you know, it's just not the same if you don’t stand in line for it and then brag about it on social media, right? Of all the Chicagoisms that exist, “fronchroom” is the most confusing to outsiders, who typically assume you’re referring to some special French-themed room. They’ll be sorely disappointed when they finally get to visit this magical room and realize that it’s just a plain, boring living space at the front of your house. On the bright side, they’ll be incredibly relieved to learn that your “gangway” is not, in fact, gang-related. Combine a major lack of garage parking with intense winters, and what do you get? Why, people putting children's’ toys from 1992 on the street to protect their parking spot, of course! While some people have started voicing their displeasure surrounding “dibs,” we must all come to accept the fact that this is one Chicago tradition that will never die. 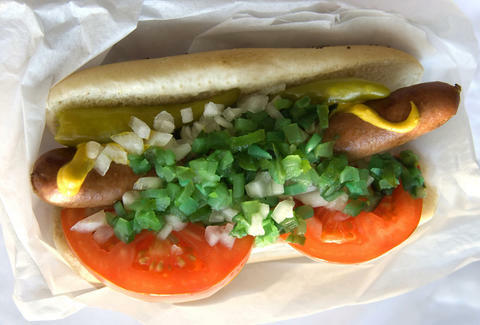 While there are few things that can unite Chicagoans, there’s one thing that has brought us together over the decades: our disdain for anyone that puts ketchup on a hot dog. While this seems totally normal to us (and there’s legit reasoning behind it), I guess we’d probably find it kind of odd if, for example, we visited Portland and were told we can’t put pickles on a hamburger just because they’ve decided that pickles don’t belong there. While the Southern portion of the country is furiously arming themselves with down-filled jackets and thermal gloves at the mere mention of 40 degrees, Chicagoans are gleefully ripping these items off. After you’ve survived sub-zero weather, 40 degree temps feel absolutely blissful. Who cares if there’s still snow on the ground? It’s shorts weather, damn it! Trips on LSD are so much fun... so beautiful and magical! Well, unless you’re stuck in traffic of course. Or, you know, if you were one of those poor souls that got stuck during the Snowpocalypse, an event which we’re pretty sure qualifies as a “bad trip.” Cue Aliotta Haynes Jeremiah! There’s nothing worse than getting a yellow light just before you reach an intersection. Your pulse quickens. Fight-or-flight mode kicks in. WHAT DO YOU DO?! 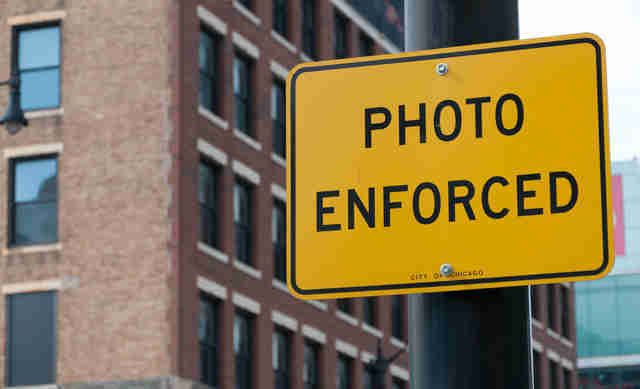 Whether you opt to slam on your brakes (potentially causing a fender-bender), or floor it in an attempt to barrel through the intersection in under three seconds, you’re guaranteed to terrify any out-of-towner that has the misfortune of being in your car as you try to avoid getting flashed by a red light camera. Thanks, Rahm. That neon green relish may look weird, but it’s delicious, damn it. 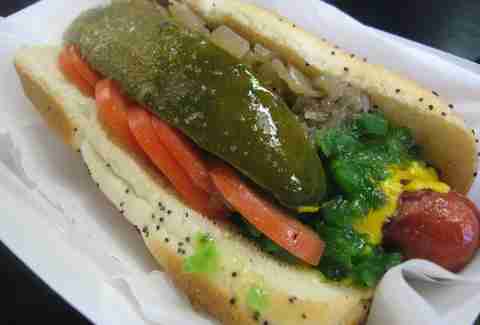 While nobody really knows when or why Chicagoans started putting atomic green relish on our hot dogs, there are a few theories. While you’ll be hard-pressed to find this delicious variation of relish outside of the Chicagoland area, it’s a staple in our kitchens… right along with the giardiniera and celery salt. What is it with Chicagoans and our love for abusive restaurants? First there was Ed Debevic's, which -- truth be told -- seemed to heavily tone down the snark in their final years. 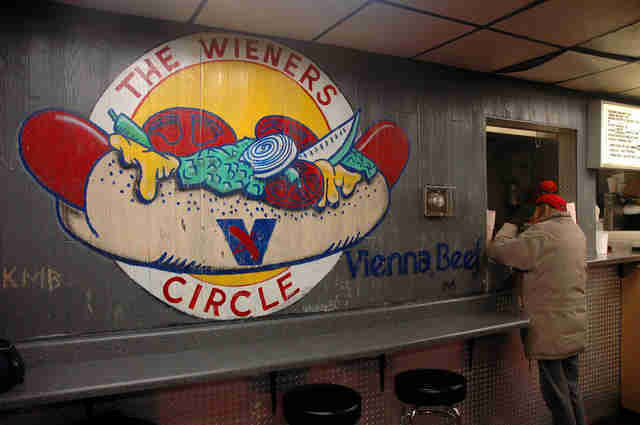 However, we’re fairly certain no restaurant in American dishes out more abuse than The Weiner's Circle. The hot dog stand has become so well-known for its sassy staff that it even had its own reality show, which was short-lived, because, well, apparently the rest of America can’t handle that level of abuse. Weaklings. In any other circumstance, purchasing homemade food items from a random man who just strolled into a bar in a large city would seem highly questionable. However weird it may seem to outsiders, we’ll forever remain devoted to The Tamale Guy: local legend and late-night hero. Lisa Chatroop likes taking LSD (the road, not the drug). Tell her all about your bad trips (down route 41) on Twitter: @LisaChatroop and check out DailyUrbanista.com.